Well its been quite a while since I last reviewed Voodoo Six, 2008 to be precise, for the First Hit For Free album. Boy has a lot changed since then. Gone is the original vocalist and half Venetian mask toting Henry Rundell, and in is the powerful Luke Purdie who seems to have given them an added ‘kick’. Anyone who has heard ‘Fluke?' will back me up. 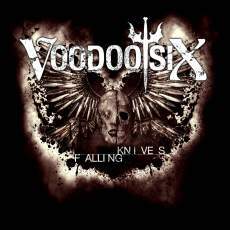 Voodoo Six are set to release much‐anticipated new EP entitled ‘Falling Knives’ in digital format on November 28. The EP, which will be a special limited edition release, will be available to fans until the end of February. The band will precede the EP release by kicking off their 14‐date UK tour in Leicester on November 17. The tour will finish with a set at this year’s sold‐out Hard Rock Hell V Festival in Prestatyn. The new EP will feature three brand new tracks, the eponymous 'Falling Knives', 'Sharp Sand', and 'Stop', as well as three re‐worked and re‐recorded versions of tracks from the band’s debut album ‘First Hit For Free’. As a 2 disc version, there are some fine moments indeed, with a number of previously unreleased recordings which makes the purchase worthwhile, as its not just another regurgitation of Lizzy numbers. To be totally honest with you, I just don’t know! Despite recent sterling efforts from the likes of Lionville, Toby Hitchclock and a few others this year, the concept of a ‘project’ album is a strange one indeed. Usually it’s the whim of the record label boss (in this case the powerful Serafino Perugino – who obviously LOVES his melodic rock) who then brings in a bunch of hugely talented musicians and writers to work around a star, in this case its two of them – Jimi Jamison (ex Cobra & Survivor) and Bobby Kimball (ex Toto). See what I mean - Richard Page (Mr Mister), Jim Peterik (Survivor), Randy Goodrum (Steve Perry, Toto), John Waite, Erik Martensson (W.E.T.) and Robert Sall (Work of Art), among others, and directed by the expert hands of German producer Mat Sinner. All I will say on the material is that this combination of players and writers has paid off in huge dividends! The chances for a cataclysmic opposition of personalities is a huge one. 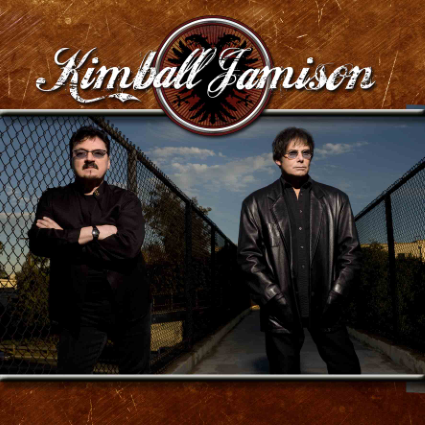 Bur Messrs Kimball and Jamison are not only good friends they have been around the block on more than one occasion to let any friction get in the way of a good opportunity. For the first time in their career, Bobby and Jimi have joined forces together in a “duets” album, which features their signature vocal style in a familiar musical environment. Musically the direction is naturally and intentionally driven towards the pomp that both Survivor and Toto excelled at and became household names upon (well they are household names at my place). Tracklisting: Worth Fighting For; Can't Wait For Love; Sail Away; Chasing Euphoria; Find Another Way; Get Back In The Game; I Did Everything Wrong; Shadows Of Love; Hearts Beat Again; We Gotta Believe; Kicking And Screaming; Your Photograph.